In order to study in Japan, students must generally get a Student Visa – unless the students come from specific countries and intend to study less than 3 months, or unless they are eligible to get a Working Holiday visa. Visa applications are submitted by students at the Japanese Embassy or Consulate in their home country. But before that, they must get a Certificate of Eligibility. That is somewhat complicated and a lengthy process. This is where Motivist Japan can help. 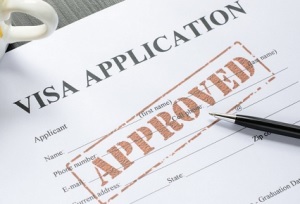 Overall, the visa application procedure takes months. How to get a student visa for Japan? Prospective students must be 18 years old or more, and have completed high School or above with higher education (there may be exceptions). Note: Japan’s educational system consists of 12 years (6-3-3) of studies. Then students advance to higher education like college or university. Educational system of some countries doesn’t fulfill 12 years before higher education. If applicants from these countries graduate from high school as their final educational background, they cannot apply for student visa or higher education in Japan. For more information on requirements, please click here. Student visas can be extended whenever students extend their studies. The Japanese academic year starts in April. But there are generally 4 sessions per year in Japanese language schools: January, April, July and October. Getting a student visa for Japan can be a cumbersome process. This is one of the reasons why Motivist Japan can help you. Thanks to our experience, we can speed up the process and make it as smooth as it can be. We take care of all the paperwork. You save time and energy. And you gain peace of mind. You send us the necessary documents by email. Aug. ～ Nov. Jan. ～ Mar. Feb. ～ May Jun.～Sep.